Stephen Cropper was born on the 22nd. of November 1807 at America Street, Southwark, London, the seventh son (and tenth child) of Richard and Alice Cropper. He was baptised on the 27th. of January 1808 at St. Saviour Church, Southwark. Richard, his father, was a hatter according to the entry in the St. Saviour baptisms register, a trade which Stephen himself would later follow. His mother was born Alice Blackwall in Hawarden, Flintshire, North Wales, in April 1768. Nothing much is known of Stephen and his family during the early years of his life, and we do not catch up with him until he married Hannah Downs on the 19th. of May 1828 at Manchester Cathedral. Stephen was said to be a hatter, although there is no indication of whereabouts in the city he plied his trade. Hannah was the daughter of Thomas Downs, bookkeeper of Stretford and Hulme, and his wife Ann Leigh. Their first child, a son named John Richard, was born in Manchester in 1829/30. The next documentary evidence of Stephen and his family comes in May 1831, when he was the victim of an assault on his person by Samuel Ogden senior, another hatter with a business in Bridge Street, Carnarvon. Although there are no details included in the document, a Memorandum of Recognizance issued to Ogden, it is easy to speculate that there must have been some conflict between the two gentlemen, presumably when Stephen arrived in town and set up a rival business not far from Ogden's premises. Sadly there is no contemporary account of the fracas in the local newspaper, leaving us with nothing more than the tantalising glimpse into Stephen's life which the recognizance gives us. Shortly after this unpleasant episode a daughter, Elizabeth Anne was born, although she was not baptised until the 4th. of June 1834, along with her younger sister, Emma. Other children followed: Sarah Ann, born 14th. of February 1836, but not baptised until 16th. of April 1837 (along with John Richard); twins Eliza and Hannah, born 28th. of January 1838, and William Henry, baptised 15th. of May 1839. Sadly, Hannah died when only a few months old, but curiously she is not buried at Llanbeblig. 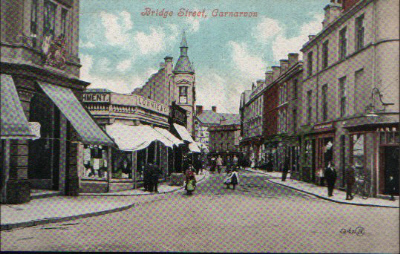 The Cropper family had settled down to family life in Carnarvon at Bridge Street, where Stephen carried out his business supplying the town's gentlemen with their hand crafted hats. He appears in Pigot's directory of 1835, as well as being listed in the voters' rolls for the same year. In 1837 he was advertising the "D'Orsay Cap," named after Alfred Guillaume Gabriel, Count D'Orsay (1801-1852). This was advertised as "light, elegant, and unique." There is no indication that the D'Orsay was Cropper's exclusive design, but there does not seem to be any mention of it in any records. He continued to be registered to vote in the Borough up until 1839, when he again vanishes. Sometime around 1838/39, the business ran into financial difficulties and was liqudated in September 1839. 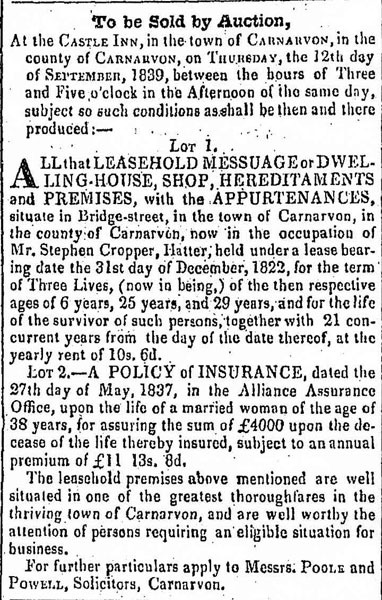 Adverts were carried in the local newspapers announcing the impending sale on the 12th. of September at the Castle Inn. According to later press reports from Belfast, the family left Carnarvon in November 1839, and by mid 1840 Stephen was listed as a publican at 95 Ann Street in Belfast. He is listed in the 1841 index of Belfast electors as Peter S. Cropper located at the same address. Subsequent press reports indicate additional involvement in Belfast politics. In an article published in the June 15th. 1842 edition of the Times, entitled "House of Commons - Belfast Election," there are allegations of corruption and bribery during the election. Stephen, now going under the name of Peter Stephen, presented a petition to the House containing a charge of bribery alleged to have been committed at the last election for Belfast by certain individuals who had canvassed for the Tory candidates, Messrs. Tennent and Johnson. Stephen had initially intended to vote for Lord Belfast and David Robert Ross (the Liberals), and had proclaimed his intentions publicly. However, the opposition Tory Party was offering generous bribes (among other election tactics) for changes of votes. Because of his bad circumstances, Stephen was encouraged by his wife to accept the bribe and change his committed vote. This he did for a price of £20. 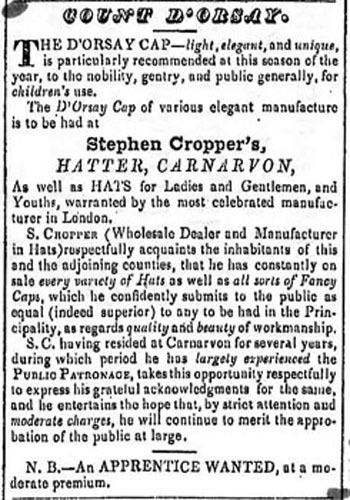 Advert from 1837 extolling the virtues of the D'Orsay Cap. Subsequent to this, a second petition had been presented, by a person named Evan Richards, of Carnarvon, stating that he knew Cropper, in 1838, as being, at the time, resident in Carnarvon. Richards declared that Cropper was a man of extremely bad repute - that he had defrauded his creditors, and made a dishonest conveyance of part of his stock. Richards, therefore, asked the House to look closely into the character of Stephen Cropper before acting on his petition. Another similar petition was presented by Mr. G. Johnson, which mentioned the embarrassed state of Stephen's circumstances before he went to Belfast, where, according to his own confessions, he took a house at £70 per annum; but by what means, or how he contrived to obtain it, no person knew. Johnson concluded by earnestly praying that strict inquiry should be made into the character of Peter Stephen Cropper, in order that a proper judgment might be formed of his veracity. Stephen alleged in his petition that when he left Carnarvon he was in much reduced circumstances, and that, being much distressed, he accepted a bribe of £20 to influence the election. Three factors appear to have had an adverse influence on the state of his business in Belfast. Firstly, the old Long Bridge in the town was demolished to make way for the new Queen's Bridge. This caused a drastic reduction in traffic, both vehicular and pedestrian, in the vicinity of his public house. Secondly, the Temperance Movement was gaining in momentum in the city, the result being a severe downturn in business. Thirdly, his business was hit further when his pub was badly vandalised. This was due to the bad publicity his bribery case attracted, and he lost his Liberal supporting customers. Eventually he was forced to sell his furniture to pay his creditors. He later petitioned the Tory Candidate (Mr. Tennent) for some kind of position in the Government. Multiple letters and meetings were held but no position was ever forthcoming. It appears that Stephen Cropper left Belfast soon after, re-surfacing in Middlesex. On the night of the 10th of September 1843 a fire broke out in the extensive shop of hatter "Mr. Cropper" in High Street, New Brentford, a town not far from Richmond. 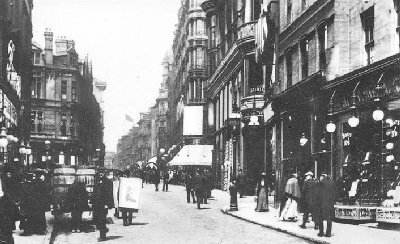 The report published in the Morning Post the next day describes the shop as being "rather spacious, having a frontage of fifteen feet and a depth of nearly forty feet." Clearly life had been good for Stephen since leaving Belfast. The fire had been discovered by a police constable on duty in the area, whose attention had been attracted by noticing smoke escaping through the window shutters. The amount of damage done was extensive, with the shop front bearing the brunt of the fire and the stock destroyed. The report of the London Fire Brigade gives the name of the shop owner as "P.S. Cropper." Although there is nothing to indicate that foul play was suspected it does seem extraordinarily unlucky for Stephen to have suffered the effects of a major fire at his business premises, especially considering what happened next. Stephen Cropper's next move was to relocate to the Midlands. 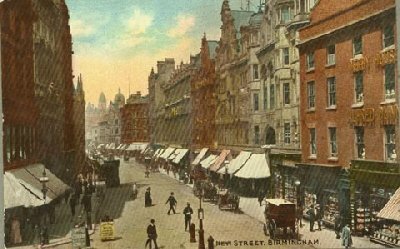 From 1845 to 1850, Peter Stephen Cropper is listed as a hat manufacturer in the Birmingham city directories, having two premises at 15 New Street and 63 Bull Street. In 1845 and 1846, the St. Peter's Ward rate book lists Peter Stephen Cropper as the rate payer at 15 New Street. In 1843 and 1844 the same rate book lists 63 Bull Street as "unoccupied," but by 1845 Stephen Cropper's name appears as the rate payer at the address until 1849. By 1850 a Thomas Parker is listed as the rate payer at 63 Bull Street, which gives us a pretty good idea of when Stephen Cropper arrived and left Birmingham. Between 1848 and 1850 the Birmingham burgess rolls list Peter Stephen Cropper as having a shop and premises at 63 Bull Street. In October 1849 a fire destroyed 63 Bull Street. It appears that the damage to the shop was bad enough for Stephen to collect an insurance payout on it. The payout was reported to be as much as £470, which would have been considered a vast fortune at the time. Soon after collecting this insurance money, Stephen decamped for America, leaving the United Kingdom in probably December 1849. His destination was to be Baltimore in Maryland. The answer for this apparent change of name is perhaps explained by the fact that on the 12th. of April that year, 22 year old Isaac Brookes, a hatter from England, arrived in Philadelphia on board the ship Wyoming. Records at Birmingham show that there was a Brooke family living very close to Stephen's hat shop, so the two families must have known each other. By the time of the 1850 US census, Isaac Brooke was listed as being part of the Cropper household, and in fact he later went on to marry Emma Cropper in 1855. Three days prior to the arrival of his family disaster struck when he was robbed of his insurance money (valued at $2000) in Philadelphia. Stephen had been living at a rooming house on South Second Street at the time, and a man by the name of Mark Booth, who had been in Stephen's employ, broke into his room and took the money, before fleeing home to England. A report published in the Philadelphia Inquirer on the 25th of February entitled "Large Robbery" relates the story and states that Stephen was expecting his "wife and five children aboard the packet ship William Penn." What the report does not say is that the family was travelling under an assumed name. On 11 Jul 1850 Stephen travelled from Boston, Massachusetts, to Liverpool on the steamship Niagara. He was noted in a newspaper report as having travelled to Manchester in pursuit of Mark Booth, seeking the return of his money. Subsequently, things did not work out very well for him as documented in the Manchester Examiner on the 17th. of August 1850. "SINGULAR ADVENTURES IN QUEST OF A THIEF - A curious case has recently occurred, the connection of which with our city leads us to give it a record in our paper. Early in the spring of the present year, Mr. Saynor, superintendent of the C division of the Manchester police, was made aware of the arrival in Manchester of a man named Mark Booth (well known to the police), who, it was reported, had just returned from America, enriched with the proceeds of a robbery which he had there committed. Mr. Saynor wrote to the authorities in the United States to ascertain particulars; but before his letter could be replied to, Mr. Beswick, chief superintendent of our police, received a letter from a Mr. Stephen Cropper, a gunsmith, late of Birmingham, who had recently voyaged to the United States, and had settled in Philadelphia as a gun-maker. In this letter Mr. Cropper stated that soon after his landing he had met with a man named Mark Booth, who had just arrived from Manchester, England, and whom he had taken into his service. Booth and he were thus in frequent communication with each other, and this gave the former an opportunity of learning that Cropper kept his money in a carpet-bag deposited in the bed-room at his lodgings. To this room Booth, on some pretence, during the absence of Cropper, obtained access, and cutting the bag open, possessed himself of a sum of £480, and forthwith absconded. The date of this transaction was the 22nd. of February; but it was not till the 29th. of April that Cropper's letter reached Mr. Beswick, in Manchester. It subsequently turned out that Cropper, after settling in Philadelphia, had sent for his wife and five children, whose arrival in America, however, happened to occur just two days after the robbery; so that Cropper at that time was penniless, and but for the assistance of persons in that neighbourhood the family must have starved. In reply to Cropper’s letter, Mr. Beswick wrote to say that Mark Booth (whose identity was fully confirmed by a Talbotype portrait sent from Philadelphia) was in Manchester, and had set up a beer-house; and that if the necessary warrants were forwarded, the man could be apprehended. Soon afterwards a warrant came over, signed by Joel Jones, Mayor of Philadelphia and Wm. Peter, Esq., consul, certifying that a robbery had been committed, and requesting that its perpetrator might be arrested. Owing, however, to some informalities in the document, it could not be acted upon; and word was sent to Cropper by Mr. Beswick to that effect. A fortnight ago, Cropper himself arrived in Manchester, bringing with him a certificate signed by the consul, and a second one signed by a chief justice of Philadelphia, certifying the genuineness of the warrants; and was at once referred by Mr. Beswick to Lord Palmerston, as it was requisite to obtain from the Foreign Secretary a certificate which would enable a justice in the metropolis to issue a warrant upon which Booth could be arrested. This certificate was at last obtained, and the chief magistrate of Bow-street was applied to for a warrant; but unfortunately, on examination, it turned out that the warrant brought out by Cropper from the States charged Booth with committing a larceny, whereas no such term was used in Lord Ashburton's international treaty, which only spoke of robbery. The magistrate, on this technical objection, refused to grant the process which Mr. Cropper had applied for; and Mr. Maude, when Cropper returned to Manchester, followed the example, and thus Cropper was unable legally to apprehend the man who had robbed him. Nevertheless, determined to seize him, and, if possible, to make him refund part of his ill-gotten gains, he hired some men, and actually apprehended his quondam servant in the public street, putting handcuffs upon him; and when, at the Fairfield police-station, the authorities refused to detain Booth, Cropper recaptured him, and took him to the Blackamoor’s Head, where, for a day or two, he forcibly detained him. He then conveyed him to the railway station and started with him for Liverpool; but finding that could not accomplish his object (viz., the re-possession of part of the stolen money), in consequence of the freedom with which Booth had been spending it, he turned him adrift at Newton, and applied to Mr. Rushton, at Liverpool, for assistance. He afterwards returned to Manchester; but, meanwhile, Mr. Wood, hatter, of the Market Place, having heard of Cropper's arrival in this country, called to mind that that gentleman had left a large bill which was still in his (Mr. Wood's) books unpaid; and he therefore obtained a judge's order, proceeded to the Blackamoor's Head and put his debtor under arrest. Mr. Cropper, therefore now lies at Lancaster Gaol, in the enjoyment of abundant leisure to reflect upon his remarkable adventures in search of stolen property. Stephen's trial was originally scheduled for 26th. August. The hearing may have been delayed or scheduled for a second session on 13th. September at 11am, as reported in The Jurist on 31st. August. In the legal announcement of the hearing to be held on the second date Stephen was described as a "prisoner...[from] Manchester, out of business." The case was again delayed as there was an announcement from the court on 25 September 1850 that it was "adjourned for two months." The case was finally heard at Lancaster Insolvent Debtors' Court in November. 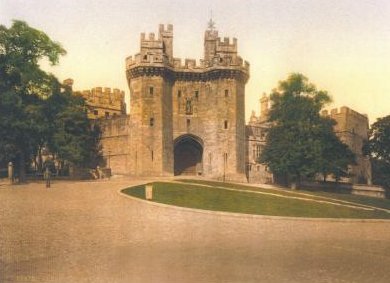 Stephen Cropper was found guilty on 8 November 1850 and remanded to debtors' prison as an "insolvent debtor" at Lancaster Castle for a term of 18 months. The case apparently then moved to London (possibly on appeal) because there was an announcement on 19 December 1850 that the case of "Peter S. Cropper" was to be ruled on at the Insolvent Debtors' Court, Portugal Street (London) on that day. The outcome of this ruling is not known; however Stephen remained incarcerated. On the 7th. of January 1851 he appealed to the same court for added support (4s per week from Mr. Wood, his creditor!). This appeal was denied with the comments that "affidavit of the insolvent was a meager one and...the insolvent remains in confinement." This appears to have been a standard procedure at the time for undischarged bankrupts, as they had no means of providing food and clothing for themselves while in prison. (Henry Ensor, a shoemaker of Carnarvon, followed the same precedure in 1818 while at Carnarvon Gaol). Stephen appears on the census on the 30th. of March 1851 at Lancaster Castle. He was enumerated as Stephen Cropper, not Peter Stephen Cropper. This census record states that he was a shopkeeper, 41 years old and born in Surrey, London. This lines up very closely with Stephen's actual birth date in Southwark, London, Surrey in late 1807. After his release from prison, Stephen Cropper returned to Baltimore sometime in late 1851 or early 1852. Between 1853 and 1854 he lived at the corner of Howard and Cathedral Streets, Baltimore, where he was listed in the city directory as "Proprietor" of Howard House, a large Baltimore hotel. Stephen's son, John R. Cropper, was listed as a "resident of Howard Street." The family suffered a devastating blow on the 6th of August 1853 when a camphor lamp overturned at Howard House. At the time Stephen's eldest daughter, Elizabeth Anne Cropper Hennin, was present, together with her young infant daughter. The fire from the lamp caught and set fire to Elizabeth's nightdress and both she and her child were severly burnt. Ten days later it was reported that Elizabeth had succumbed to her injuries. There is no indication as to whether the child survived. It must have been a bittersweet moment for Stephen to lose his daughter in this manner, considering his past history with fire. At some point between the fire at his Birmingham hatter's shop and his return to Baltimore, Stephen's wife Hannah appears to have died. Either this, or the marriage had been dissolved after his imprisonment (although this is highly unlikely as an Act of Parliament was needed to 'divorce' at the time). Whatever the reason, he was free to marry Martha Finall on the 15th. of December 1853 at St. Paul's Church, Baltimore. Martha was reported as being the "second daughter of J. A. Finall, Esq., of Oak Hall, near this city." Stephen declared his intention to become a naturalized citizen of the United States on 20th. of March 1854 at the Circuit Court Office, US Circuit Court for Maryland in Baltimore. He cited England as his country of birth. He disavowed "particularly all allegiance and fidelity to the Queen of the United Kingdom of Great Britain and Ireland." In August 1855, at the age of 47, Stephen became a father once again when the couple's first child was born. It is not known whether the child was male or female, and there were no other known children born to the couple. Sadly for Stephen and Martha, their new baby did not live, dying at the age of 2 months and 21 days. 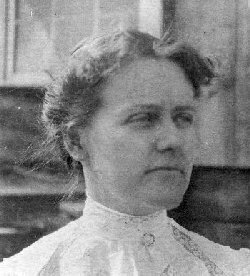 By 1859 Stephen and Martha were living in Peoria, Illinois, and over the next four years lived and worked at various addresses. In 1859 they were listed at 106 Water Street, and his occupation was a liquor merchant. From the information he provided on the census of 1860 he was 50 years of age, with a personal estate of $5000. In 1860 he was at Water & Main; with his residence stated as "2nd floor." Other addresses were: 1861 - 1 South Water; residence at 3 Main, and 1863 - 1 South Water; residence at Hamilton and Main. There was no 1862 Peoria city directory published because of the Civil War. 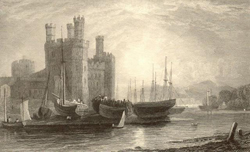 Stephen and Martha returned to the United Kingdom around October 1863, and settled at Birkenhead. 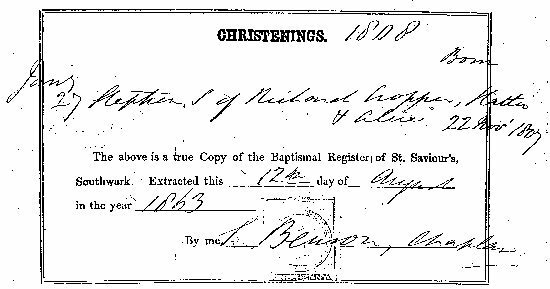 Prior to their return, Stephen applied for a copy of his baptismal certificate from St. Saviour's Church in Southwark. This copy is dated the 12th. of August 1863. The estimated date of his emigration is based on the date of this document. A possible reason for the couple settling at Birkenhead was that Stephen's nephew, Richard Cropper, was living not too far away, at Tranmere. Stephen Cropper died on the 26th. of September 1865 at Denmark Villa, Williams Street, Southport, at the relatively young age of 57 years. However, he seems to have packed more incidents into his life than many others. The cause of death was recorded as "valvular disease of the heart, and he had also been afflicted by dropsy. Stephen was listed on his death certificate as a "wine and spirits merchant." He was buried on the 27th. of September 1865 in plot K9 in the graveyard at St. Marie-on-the-Sands Catholic Church, 25 Seabank Road, Southport. What is not known is the reason he was in Southport at the time of his death, as five months previously he was still at Birkenhead, as is evidenced by his will, which was drawn up on the 20th. of April. Perhaps there were family in the town, which drew him there as his life ebbed away. In his will, his widow Martha was named as executrix and an heir. Also named as heirs were his grandson William Stephen Brookes, and his children, Eliza Harris, of Chicago, Illinois; Sarah Ann Dodson of Bloomington, Illinois and John Richard Cropper of Memphis, Tennessee. The will was proved in London on the 20th. of December 1865 by Martha Cropper. Martha Cropper died at Birkdale on the 16th. of May 1876. The estate of Stephen Cropper was administered by his nephew, Richard Cropper, who resided at Lucknow Villa, 8 Olive Mount, Tranmere, on the 8th. of November 1876. This administration was granted due to lack of administration by Martha, the sole executrix. And so ended the story of a man who travelled far and wide, and experienced both successes and tribulations along the way. And for a short time, Stephen Cropper touched the everyday lives of the residents here at Carnarvon. He would be pleased to hear from anybody with further information about Stephen Cropper.